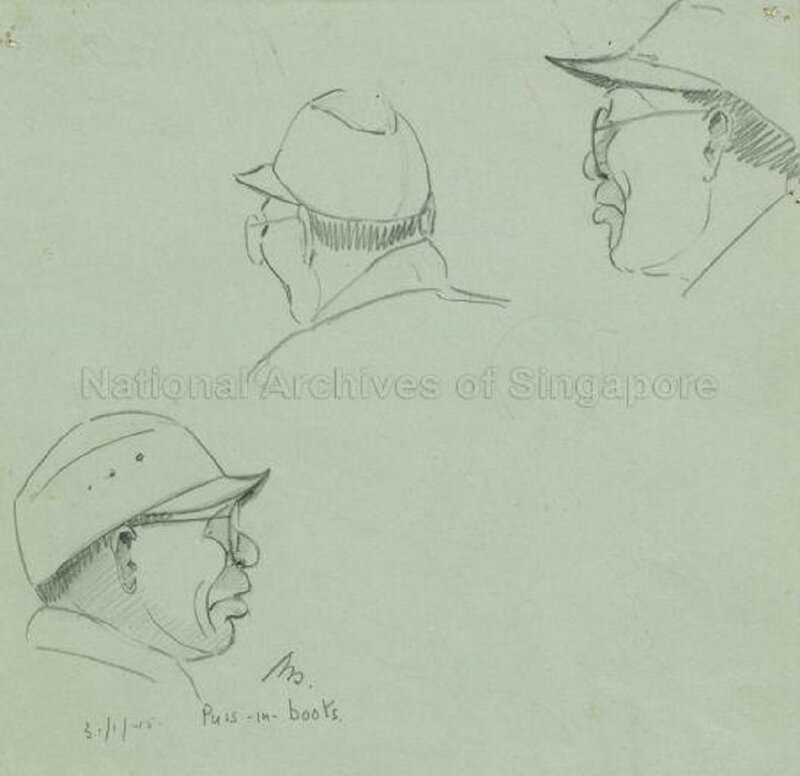 A Japanese prison guard (probably nicknamed "Puss-in-boots") who was later convicted, sentenced to 15 years imprisonment and died in prison, sketched 31 January 1945. Image courtesy of the W R M Haxworth Collection, National Archives of Singapore. The defendant, Corporal Keizo Kodera, was an assistant to the Arms Section of the 29th Mixed Independent Brigade accused of ill-treating British and Dutch Prisoners-of-War (POWs) who were forced to maintain and work on the notorious Burma-Siam Railway. He was ultimately found not guilty although the precise reasons were not stated. The prosecution did not field any witnesses in attendance and all evidence entered was by way of affadivits that constantly referred to ill-treatment by one "Four Eyes" character. It was noted that a lot of Japanese soldiers wore glasses but thankfully for the defendent, Corporal Kodera's glasses was only 13 degrees and was considered having thin lenses. In other words, part of his accquital was because his glasses were not thick enough for him to be the "Four Eyes" in question. Hence, a possible case of mistaken identity. 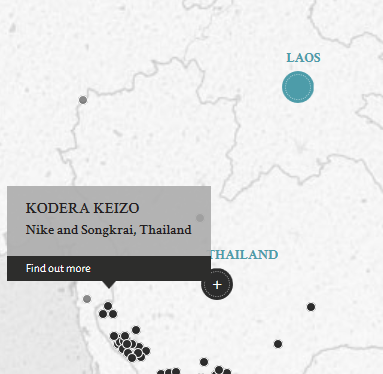 Further, it was noted that Corporal Kodera was never stationed at the same camps as the POWs at Aperon, Burma and Nike, Siam. The only camp which he had visited involved any of the POWs was one at Songkrai, Siam. However, he was only there for 10 days but did office work and had no interaction with any of the POWs. Kodera, Keizo. Corporal. From Japanese military. From Japan. Not guilty. Ball, C. F. Lieutenant Colonel. From British military. Court president. Barrister-at-Law. Eber, J. St. J. Civilian. Barrister at Law, Inner Temple. Okubo, Hirotake. Public Prosecutor in the District Court of Hiroshima.